Group Accommodation Croatia suitable for Large parties groups in Croatia in Split Island of Solta, Bol,Dracevo polje. The air-conditioned unit is 25 km from Rijeka, and guests benefit from free WiFi and private parking available on site. The kitchen features a dishwasher and a microwave. A TV and DVD player are offered. There is a private bathroom with a bath. Rabac is 43 km from Six-Bedroom Holiday home Crikvenica with Sea view 04, while Baška is 24 km away. The nearest airport is Pula Airport, 68 km from the property. We speak your language! Holiday home Accommodation: sleeps 12. This traditional stone villa is set in a secluded countryside location. It features stylish interiors and comes with a flat-screen satellite TV and a Blu-ray player. The full kitchen includes a dishwasher and a microwave and there are 5 bathrooms available. The garden at Dojmi Villa offers a furnished terrace equipped with free-to-use barbecue facilities. Free private parking is also possible. The property is 90 km from Split Airport that can be reached via ferry from the town of Vis, which is about 10 km away. Group Accommodation Accommodation suitable for Large parties groups in Croatia in Split Island of Solta, Bol,Dracevo polje. Large Croatian Villas. 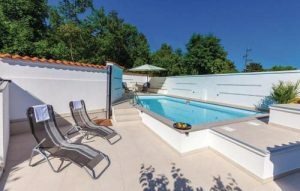 Croatia RENTAL Accommodation – Book Your Holiday NOW!! Take A Break Holidays takeabreakholidays, Group Accommodation Croatia.